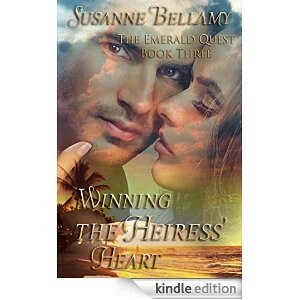 I’m over at Susanne Bellamy’s Launch party today for the launch of Book 3 in the Emerald Quest Series: Winning the Heiress’ Heart. When Lily finally left, Caitlin took the elastic out of her hair and walked to the window. 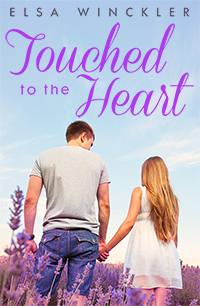 She combed her fingers through her hair. She’d opened her rooms in September and had been just in time to watch the annual arrival of the whales in these waters. From her second storey window she had a wonderful view over the whole of Walker Bay. With a smile she walked back to her laptop. She had the office to herself and couldn’t wait to blog. She hadn’t had a chance to update her blog since last weekend and wanted to catch up with her readers. At first the blog was her way of venting about her latest disastrous date. Fed up with the way she’d been treated, she’d started to write about the types of men girls out there on the dating circuit should steer clear of. To her amazement and delight, it seemed as if her blog had triggered something in many women and the blog had somehow gotten a life of its own. The only category of men she had never been able to write about, though, was the category of “the one”. Probably because she didn’t believe they existed. In her experience “the one” existed only in the romance novels her mother wrote and rom-com movies. Chocolate-brown eyes. She grimaced. It had been nearly a week and she still remembered the cyclist she’d treated the previous Saturday. Don. At the oddest times she would think about him, would worry about his back, would wonder whether he’d seen another physiotherapist. She didn’t know the man from Adam, but she’d been having x-rated dreams about him all week. In her line of work she treated attractive men every day. Why she couldn’t get this particular one out of her head was a mystery.